We all know about Snapchat, the image messaging app which came in market in 2011. 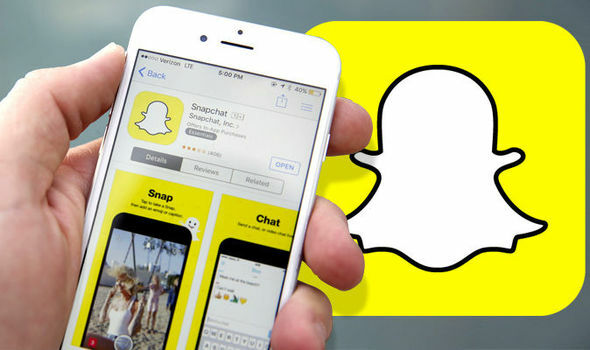 Snapchat is the social media platform which got really famous among the teens and young really fast. Snapchat is the first platform which introduced the stories feature in it's app. It's story feature was liked by many persons. Since 2011 Snapchat hasn't changed much in it's design. But last week it rolled out a new update which changes the interface of the app a lot. The new feature actually splits the app into two sections, with friends content on the left side and media content on the right side. But many of the teens are not liking this new updated app. All are very angry with this move of the company and they want the old app back. There is a fake tweet on twitter which claims that retweeting it for enough times will make the company to reconsider it's move of changing the interface of the app. Due to this many of the teens retweeted it and it became the 6th most retweeted tweet on Sunday. Many of the other teens spent their weekends to tweet to the company to change the app UI back to earlier. Many posted to their stories showing that how much they are angry with company's this move. The change.org got a half of million signatures to remove the new Snapchat update. With this new update the users are saying that instead of making the app user friendly the company has made it more complicated for usage. But the company is claiming that this new feature is for making the use of app easier by adding new features. Many of the persons were not known about such a thing and when they opened the app some day they were shocked by seeing that the app is totally changed. People think that the social platform on which they rely has changed overnight. Snapchat will lost it's reputation in market if it will not change the interface of it's app. The company shouldn't have made such a move so fast. It should have thought a lot before making such a move. Snapchat should have test this app with beta testers and after getting their reviews should made it's move. So let's see what will be the next move from Snapchat on this.